A few months ago I got an email from the great Steven Heller. He was preparing a new book (not really a surprise!) for his sketchbooks series. He has already published sketchbooks books for typography, graphics design, and comics. This time the book was going to be about the sketches of Infographic artists, and he would like to include some of my own, and of other members of 5W. I felt very honored. I never thought much of my own sketches, and often I get rid of them after a job is finished. But I got to work, found a few I did not dislike too much, and sent them to Steven. 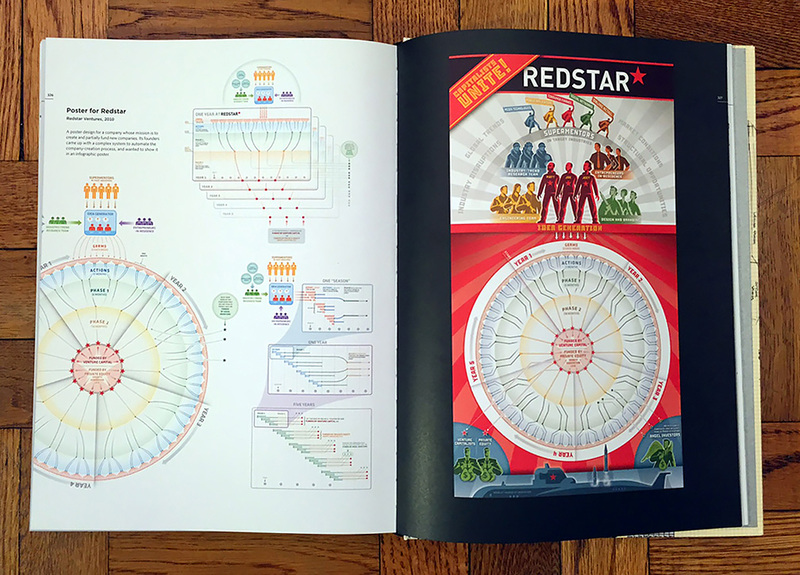 The book, titled Infographic Designer’s Sketchbooks, by Steven Heller and Rick Landers, has just been published. 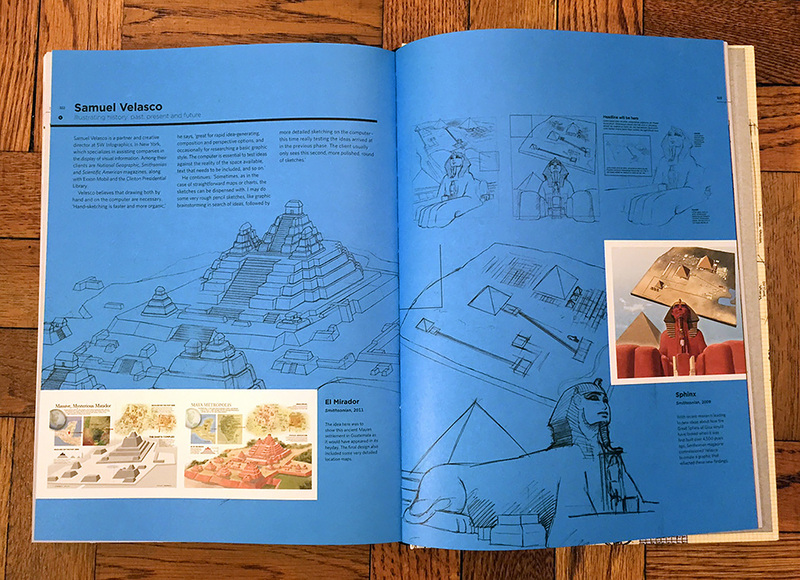 It is a magnificent large tome, 350 pages long, lavishly illustrated with the most beautiful graphics and, to my surprise and delight, it dedicates six pages to us (see pictures below). 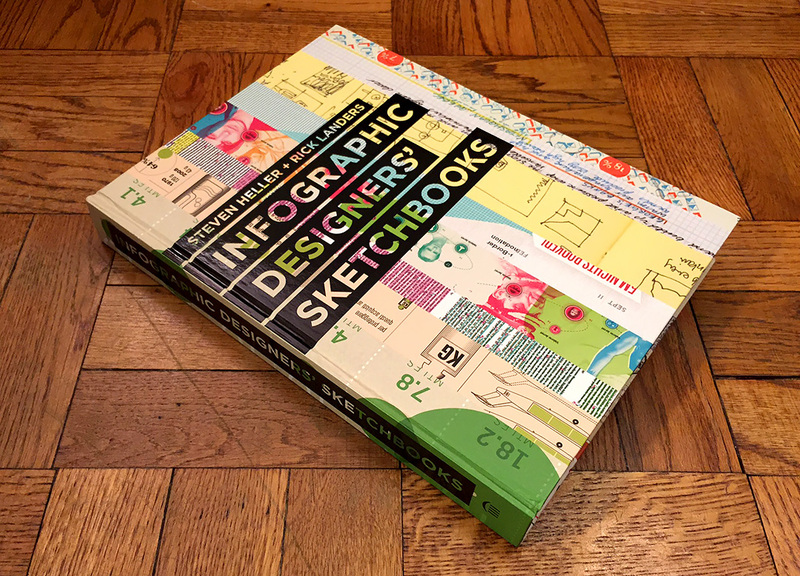 It showcases the sketches and finished work of more than 70 infographic artists from the U.S., Italy, Germany, U.K., France, The Netherlands, Ireland, Spain, Slovenia, and South Korea. It includes classics such as John Grimwade, Nigel Holmes and Massimo Vignelli. 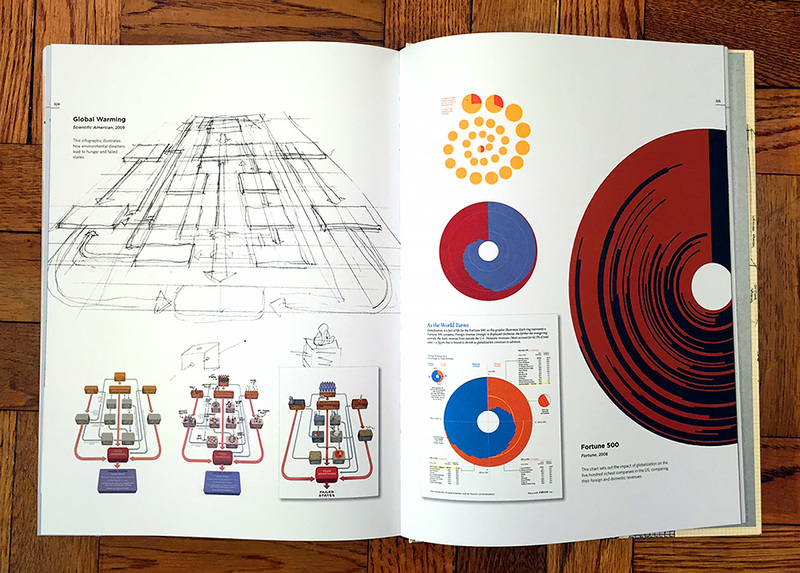 Browsing through this book is the closest thing to be inside an Infographic artist’s head. Artists sketches are the immediate, unadulterated product of the act of creation, and looking and these you can almost hear the creativity cranking up. This book will be agreat addition to your infographics book collection. This entry was posted in Design, Graphics by Samuel Velasco. Bookmark the permalink.